GREENSBOROUGH / Ala // MAY / 24 handstamped PAID 10 on tiny blue cover to “Mrs. W Withers, Mobile, Ala” with pencil notes of MacBride and Kimbrough on verso. $220. GAINESVILLE / ALA // JUL / 5 cds with matching handstamped PAID 10, CSA Catalog type D, on homemade cover to Mrs. T. K. Jackson, Care Mr. Ben Barret, Lauderdale Station, Mississippi; reduced at left. Scarce. $250. 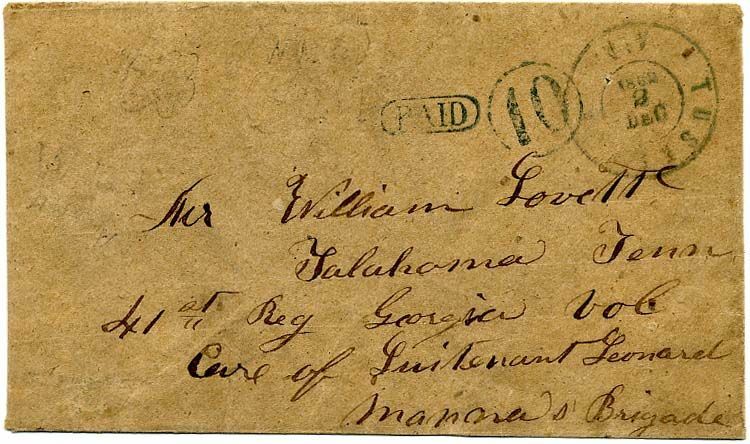 TUSKEEGE / ALA // DEC / 2 / 1862, blue DC with matching PAID and "10" (CSA Catalog type B) in circle on homemade cover to William Lovett, Tulahomia Tenn, 41st Regt Georgia Vol., Lieutenant Leonard, Manna's Brigade (Tullahoma Tenn), Very Fine, ex Kohn. $300. William M. Lovett enlisted 3-4-1862 as a private and was mustered into Company E 41st Regt Georgia Infantry. He was listed as wounded 10-8-62 in Perryville KY, POW at Vicksburg MS 7-4-63 and paroled 7-6-63 with no further record. 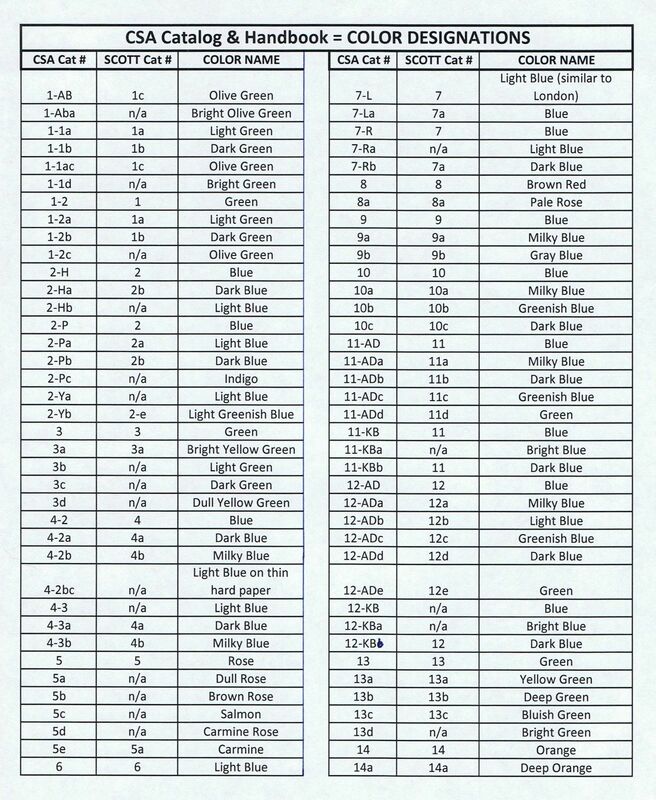 CLAYTON / ALA // JUN / 1  - cds with PAID straightline and manuscript "5" rate with charge box notation, on cover from George E. Macon to Wilson Williams, Registrar in Chancery, Crawford, Ala. re legal matters. 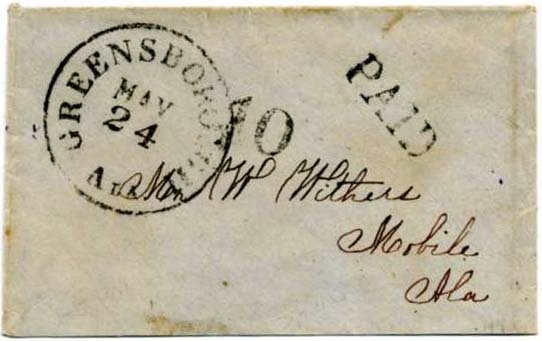 Original May 30 dated enclosure headed Clayton; couple minor envelope thin spots and slightly reduced at top, Judge Wilson Williams was Lee County, Alabama Probate Judge from 1872-1880. 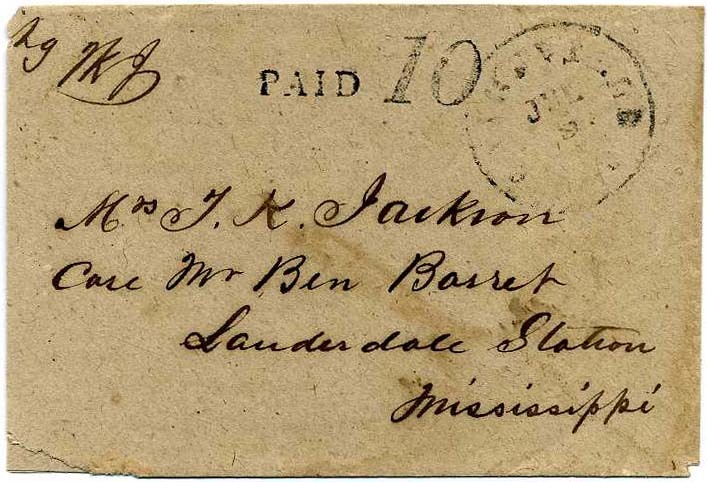 Scarce and exhibitable FIRST DAY OF THE CONFEDERATE POSTAL SYSTEM. $2,800. 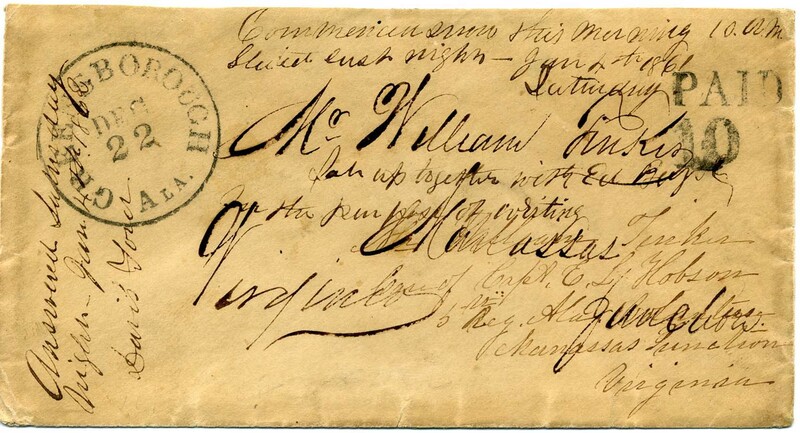 GREENSBOROUGH / ALA. // DEC / 22  boldly struck cds with matching PAID 10 on cover to [Private] William Tinker Care of Capt. E. L. Hobson, 5th Regt. [Company D] Alabama Volunteers, Manassas Junction, Virginia. Slightly reduced at top with top back flap replaced, heavy but attractive docketing. Tinker’s unit was from Greene (now Hale) County and served from Manassas to Appomattox. Ex Brandon. $200.